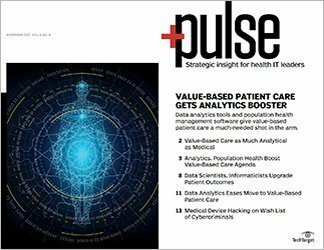 As the amount of patient data in hospitals continues to grow, healthcare big data analytics can help improve patient safety by providing valuable insights in near-real time. 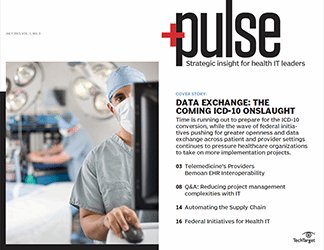 Over the past few decades, the healthcare industry has been exposed to a number of technology trends that have changed the way hospitals view and interact with data. Cloud, the internet of things and big data analytics have all offered opportunities to capture more data and deliver new insights while maintaining a low-to-moderate infrastructure. 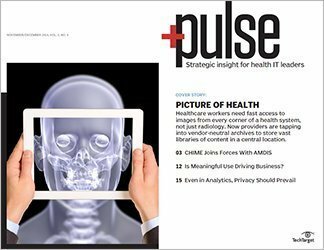 Despite the incredible progress in artificial intelligence and machine learning, some healthcare professionals are looking to maximize the use of their existing data analytics systems before shifting gears to AI and advanced analytics. 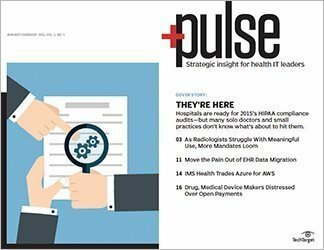 With the abundance of data collected within hospital systems, executives often look to big data analytics for healthcare to support improvements in patient care, safety and operations. 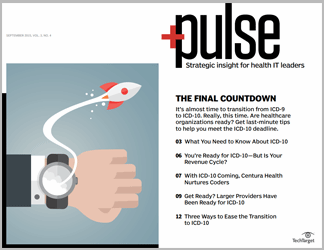 That's usually done by delivering dashboards and actionable insights to physicians, nurses and administrative staff. The data is available, and the tools are often widely accessible and hold a tangible return on investment. However, implementing analytics with stale and outdated data -- combined with a lack of operational alignment -- poses a challenge to organizations starting their big data journey. 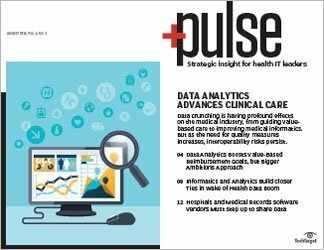 Fortunately, vendors are beginning to introduce new features and capabilities to address the challenges of big data analytics for healthcare. Delivering dashboards across many platforms. Many of today's popular analytics platform vendors have invested heavily in getting their systems to deliver dashboards and reports to end users through desktops and mobile devices. 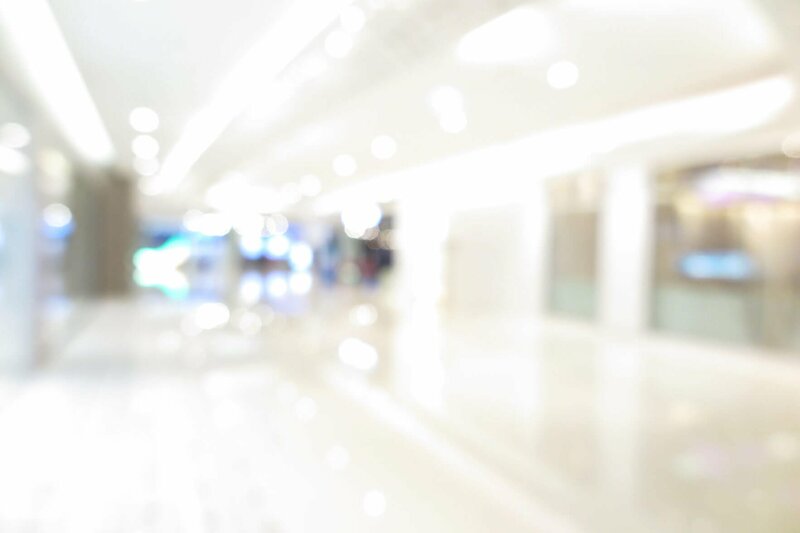 Consumers, therefore, have visibility into all the relevant insights and key performance indicators (KPIs) anytime and anywhere. 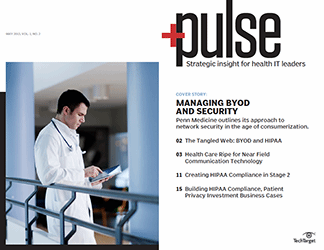 Supporting multiple platforms allows users to access data no matter what device or endpoint they use. 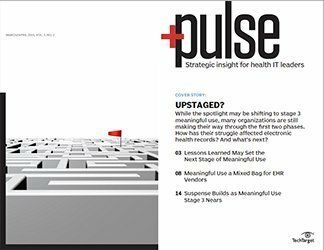 Integrating dashboards within an electronic health record. 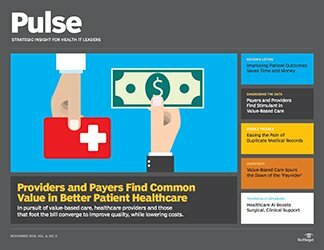 To ensure users have access to relevant insights while using their line-of-business applications -- such as a physician viewing a patient's chart or a hospital administrator evaluating the overall financial performance of the organization -- analytics application vendors are beginning to offer embedding capabilities in their systems. 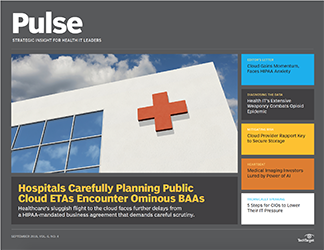 This feature allows hospitals to integrate dashboards directly into their custom application, some of their EHRs and other platforms hospital staff use regularly. That improves efficiency for end users and eliminates the need to navigate away from the main application to view reports and dashboards. 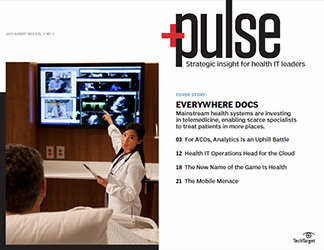 Accessing near real-time reports during patient care. 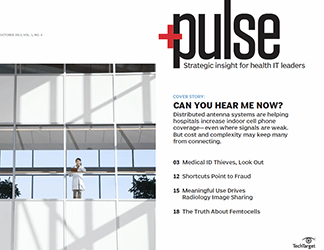 In a patient care setting, having access to real-time insights around the patient's health is critical. Historically, analytics tools relied on data that was processed nightly due to technical limitations. 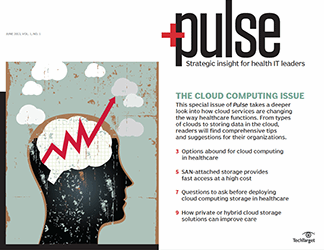 To address this gap, vendors have introduced memory processing and cloud-based analytics tools that offer robust processing engines to deliver insights faster and provide near real-time feedback on patients. To convert data insights into actions, end users need analytics tools that can deliver business process automation. Incorporating advanced analytics into one platform. One of the latest big data trends in the marketplace is the increased use of advanced analytics capabilities like AI and machine learning. 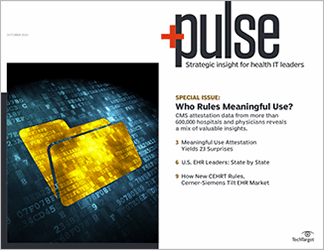 Hospitals are realizing that traditional reporting tools are not enough to gain more insights from patient data. 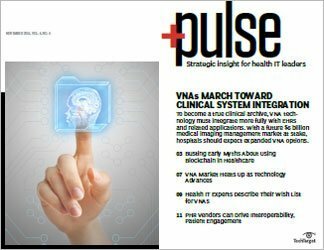 Access to AI and some of its advanced features to analyze large data sets, such as medical images, by applying different algorithms to detect and extract insights is extremely valuable. 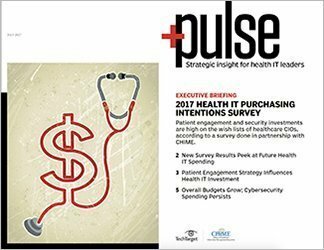 To support these needs, several analytics vendors are releasing services that offer data management, cloud services and AI together. 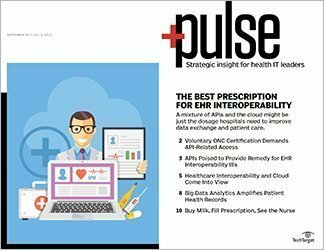 The diversity of these services from one vendor can provide hospitals with a comprehensive big data solution that can deliver all of their analytical needs. Possessing business process automation capabilities. To convert data insights into actions, end users need analytics tools that can deliver business process automation. 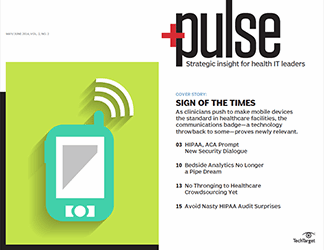 These tools include systems that can analyze claims data in a hospital billing system and automatically notify a claims specialist or resubmit a claim to the clearinghouse. The ability to trigger actions as a result of predefined events is a feature that more vendors are advertising. Emphasizing self-service capabilities. With increasing end-user adoption in mind, IT executives are recognizing that the more controls they give their power users, the more meaningful dashboards and KPIs their users can create. 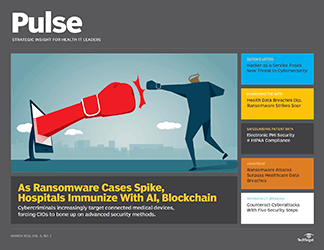 Vendors are beginning to increase self-service capabilities that allow nontechnical users to build and customize reports and dashboards with very little need for IT support. This new trend is helping increase the adoption of these tools in organizations and empowering nontechnical users to do more with their analytics platforms. 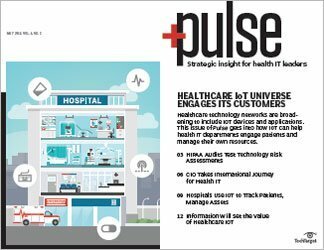 Big data analytics for healthcare allows hospital end users to gain new insights into population health, operations and other areas. 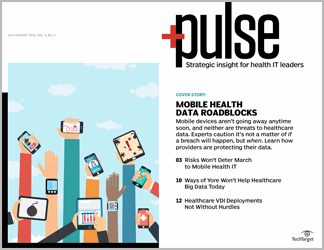 By having the right analytics solution, healthcare providers can make better and more meaningful decisions based on evidence and insights derived from their data. 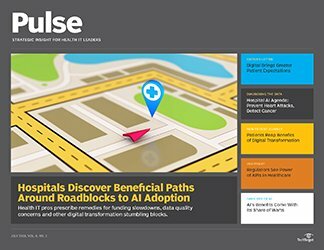 Through operationalizing analytics and using the latest techniques -- such as AI, machine learning, natural language processing and image processing -- hospitals can tap into new data sources and deliver next-level insights to their users. 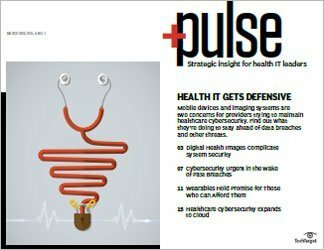 What are the barriers to healthcare big data? 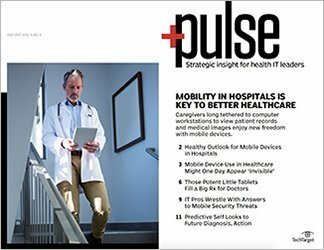 What benefits does healthcare big data analytics offer hospitals and their end users?